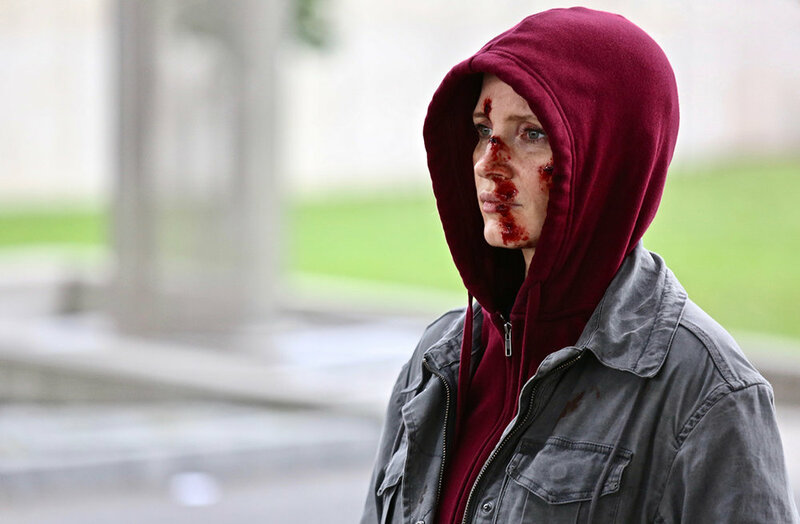 The first look image of Jessica Chastain's upcoming dark and bloody thriller, Eve, has arrived. The official image reveals Chastain's Eve, looking pissed and bloody. Surprisingly no release date has been set for the film, but we'd out money on a nice March 2019 release. Eve (Jessica Chastain) is a deadly assassin who works for a black ops organization, traveling the globe specializing in high profile hits. when a job goes dangerously wrong she is forced to fight for her own survival. Chastain is joined by an all-star cast featuring Colin Farrell, Common, John Malkovich, Geena Davis, and Joan Chen. Check out the first look image below.